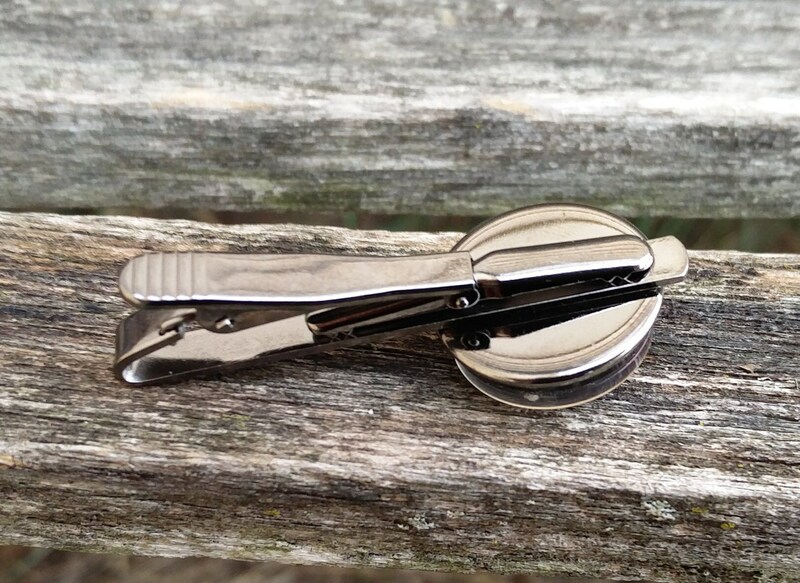 This tie clip is so unique! 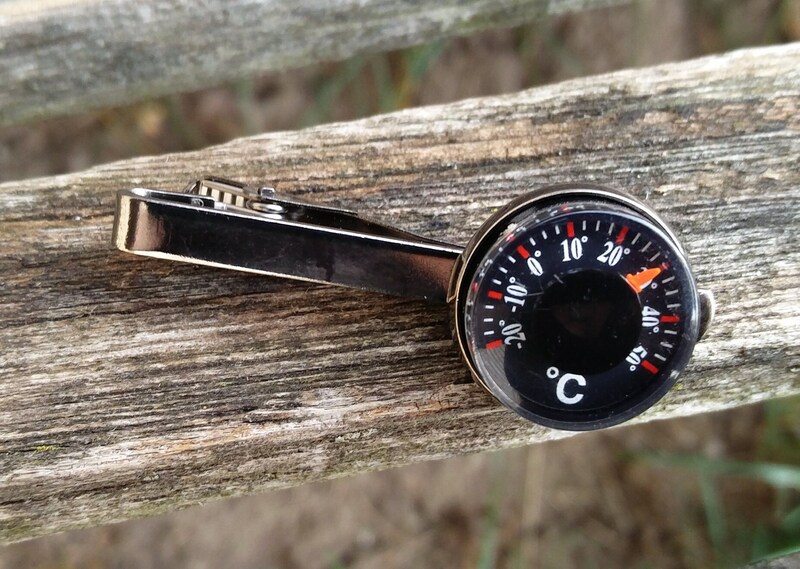 It has a working Celsius thermometer in it. 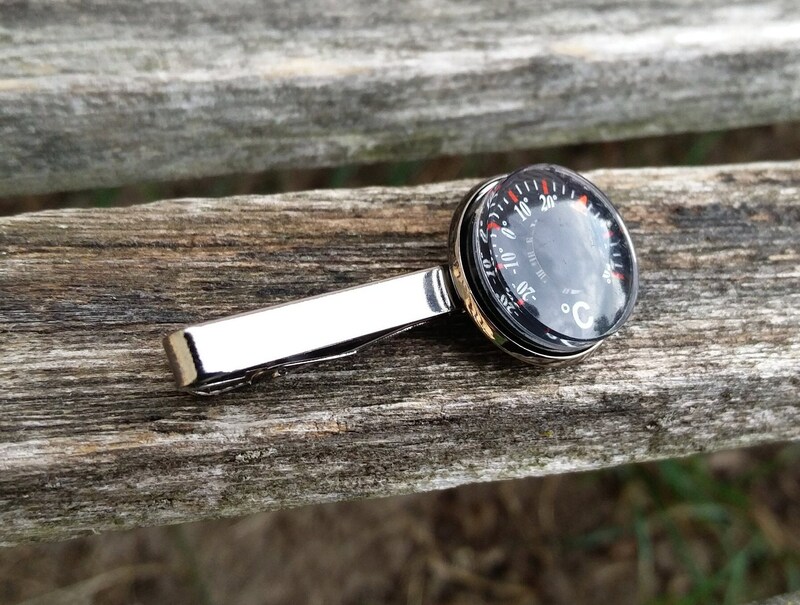 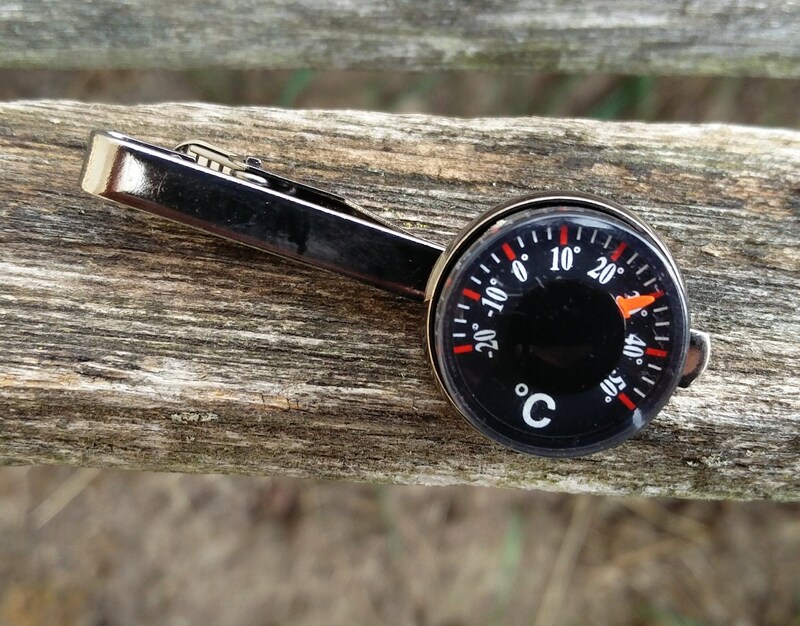 The tie clip base is 2" long and the round part measures 20mm. 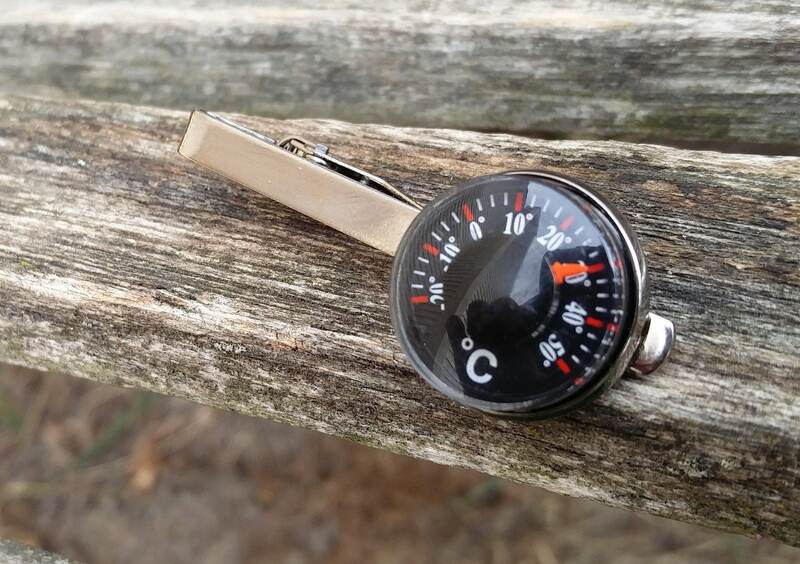 *Choose your metal color from the drop-down menu at checkout.